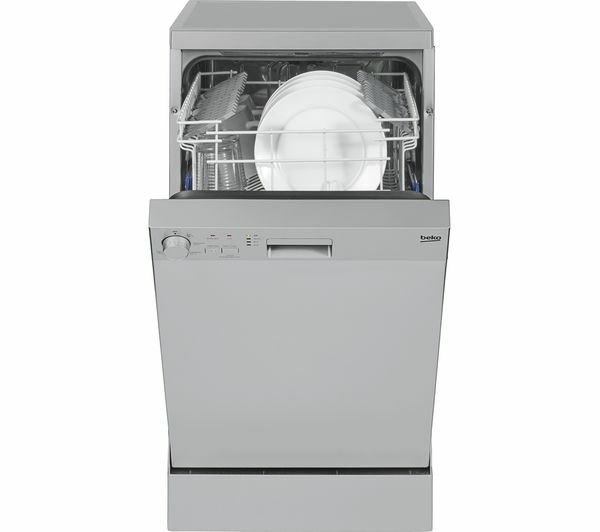 Save space, energy and time with the Beko DFS05010S Slimline Dishwasher in smart silver. 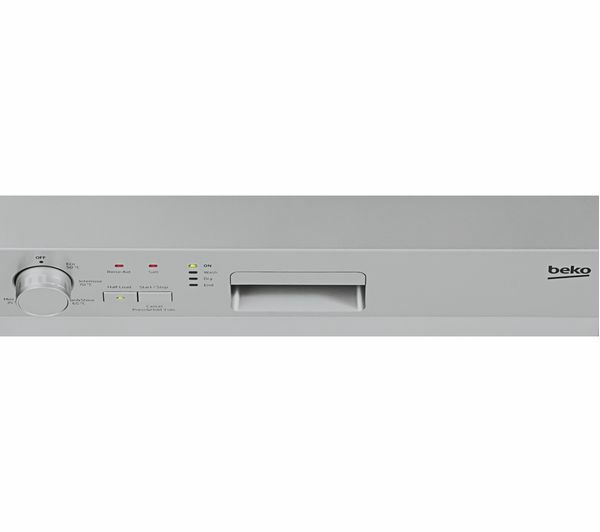 With multiple programs to choose from, the DFS05010S provides you with all the cleaning options you'll need to keep a tidy kitchen. Take your pick from the Clean and Shine, ECO, Intensive, Mini, and Quick and Shine programs. So whether you're in a rush, haven't got a full load, have some really tough stains or want to conserve energy, you can choose the setting to match. With room for up to 10 place settings at once, you'll no longer require any help in the kitchen. 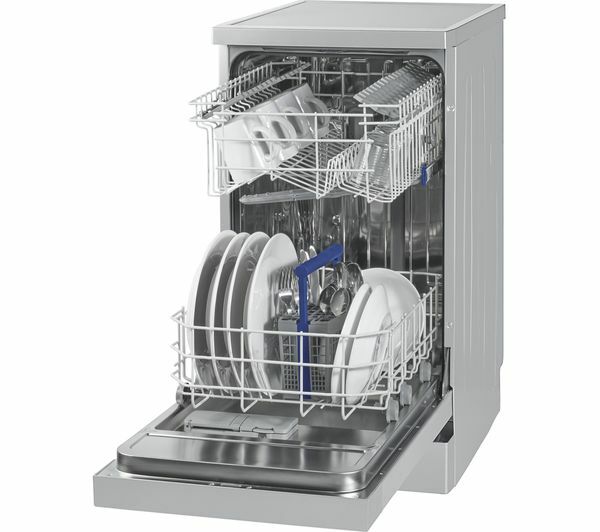 This dishwasher will clean all of your dishes in a compact 45 cm wide space. The DFS05010S has a removable cutlery basket to help you with loading, and a flexible upper basket, which can be adjusted to make room for your bigger pots and pans. 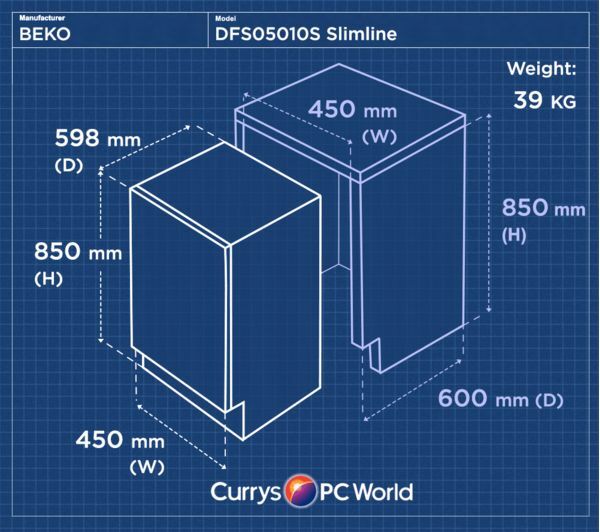 Its slick, silver finish helps the Beko DFS05010 fit into any modern kitchen, and its slimline design makes it the perfect choice for a smaller kitchen. 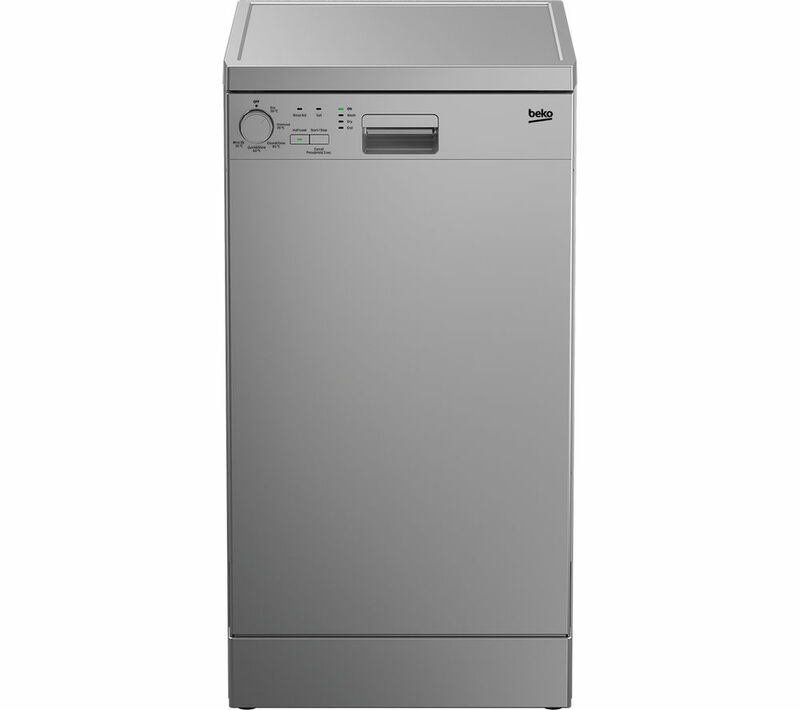 Complete with an A+ energy rating, and A-rated drying efficiency, the Beko DFS05010S Slimline Dishwasher in silver is the perfect washing aid you can depend on. 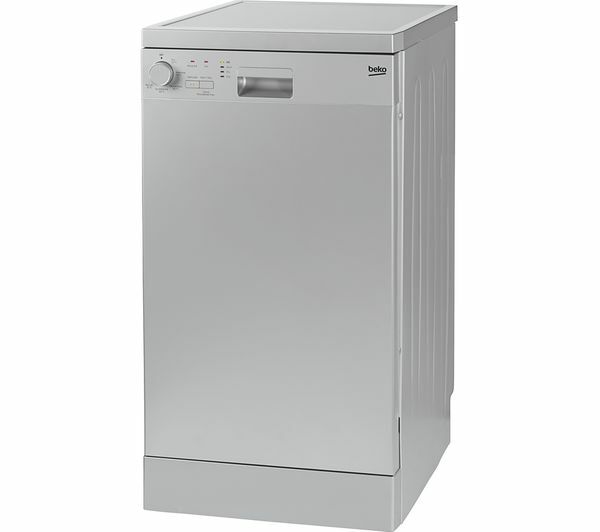 We can also install your new dishwasher on the day we deliver, for most of the UK. Just add installation at the 'Confirm basket’ page,charge applies. Check existing electrical and plumbing connections are safe to use and within 1.5 metres of required location. Note: Before we arrive, you will need to make sure access is clear to the area you want your appliance installed, the appliance will fit into the space and that the electrical and plumbing connections are within 1.5 metres.